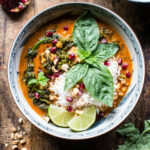 You know how important something is to you by asking “What would I grab if the house was burning down?” Apart from living creatures and photos, my answer was always my blender because I didn’t want to be without my green smoothies. Well that has changed and now it is my Field Skillet. 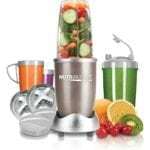 Holy cow, I can’t live without it. And it’s not completely replaceable because of the seasoning. Once you get it just right, it’s priceless. Yes, you can get another one, but there is something special about a cast iron skillet, something that makes you feel bonded to it, attached. The more I cook with this, the better the skillet gets, and the more attached I feel. For years I wanted a skillet just like my grandmother had. It was entirely non-stick and her food always tasted wonderful cooked in the skillet. Especially her Buttermilk Biscuits and Cornbread. The problem was I could never find a skillet as slick as hers, food would always stick and it was a completely different experience. I tried a few times, but always ended up giving the skillet away in frustration. 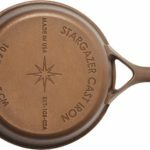 What I did not know is that the old time skillets were machined to be so smooth. The new skillets I bought were rough and pebbly, and were supposed to become nonstick with the right seasoning. I always ended up making a big mess and they never became remotely nonstick. All these years I did not know modern machined skillets existed, what a revelation! 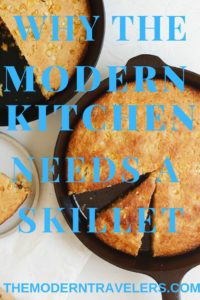 There are a few contemporary companies that make them, and I started my skillet adventure with the Field Skillet. I am in love. Obsessed. It’s my favorite thing in my kitchen. My food has never tasted better or been so fun to prepare. And it feels like I have my grandmother back a little bit. You still have to season the skillet correctly, but it’s easy. I followed Field Skillet’s seasoning directions and it worked like a charm. They recommend grapeseed oil. I tried everything else with the other skillets and agree, the grapeseed performs the best. The trick is to use a tiny bit, and use it on a heated skillet. 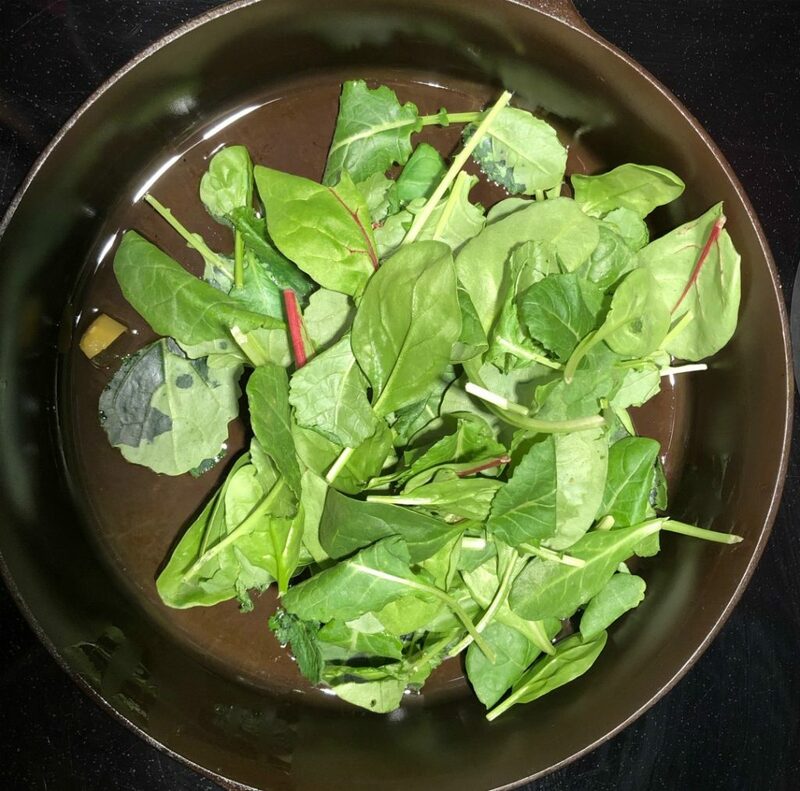 After each use, I wipe the skillet out, or rinse with hot water only (no soap), scrub with a brush if needed, dry and place in the oven to heat up. Then I take a paper towel and a few drops of grapeseed oil and rub that into the skillet. Then I wipe it all off and I’m done. It’s that simple. I baby my skillet (even though it’s basically indestructible) and enjoy the process. The Field Skillet comes pre-seasoned. 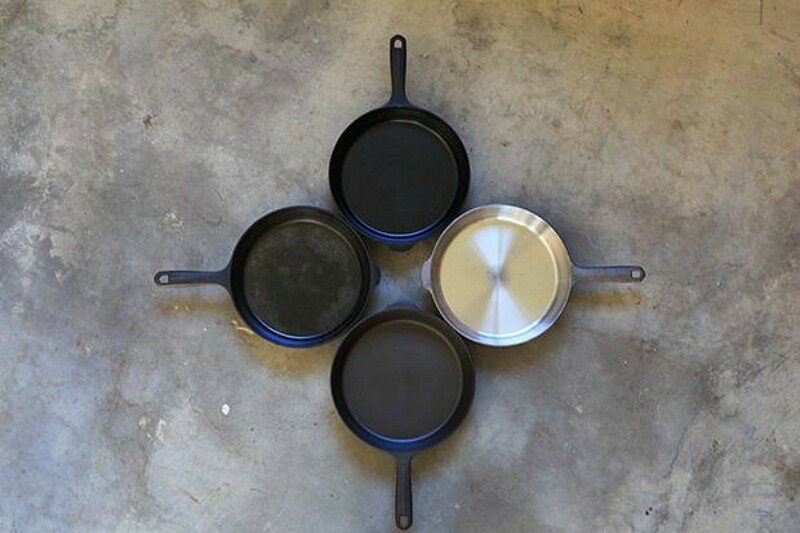 It looks like the skillet in the 6:00 position in the photo. As you use it, it looks more like the 9:00 skillet. I’ve been using my skillet every day for two months and it looks like this, only a little more uniform. Over time, it will have the glassy black look of the 12:00 skillet. The silvery skillet at 3:00 is how they are born. Seasoning is just the glaze that forms on the top of the skillet as fat molecules break down and bond with the iron. It’s far superior to the ceramic and teflon non-stick pans. Field recommends being generous with oil your first few times of use. They also suggest cornbread for your first time, and that was great for me because that’s exactly what I wanted to make first. In the photo above you can see my first effort on the left, and in the photo on the right is a more recent cornbread. See how the skillet gets darker with time? Eventually it will be black. 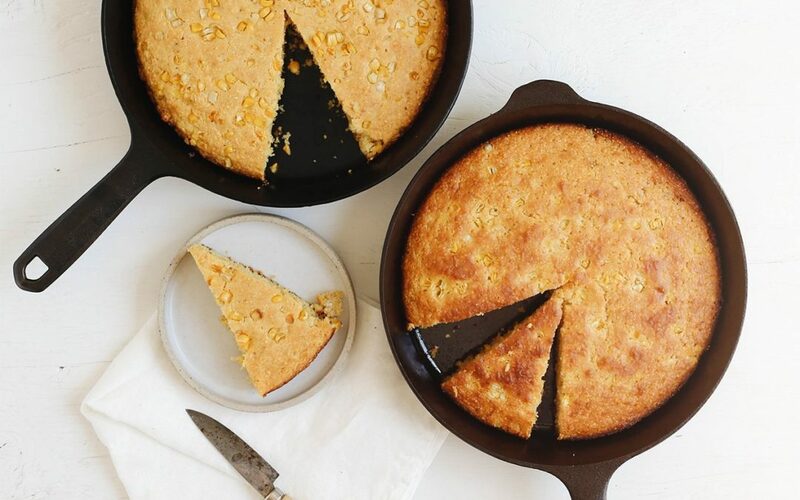 I’ve made at least a dozen cornbreads with this skillet and they come out perfect every single time. After you’ve used your skillet a while and the seasoning is just right, you can move on to things notorious for sticking to pans, like eggs. This skillet performs better than my ceramic non-stick pan. And with this, you don’t have to worry about toxic chemicals getting into your food. 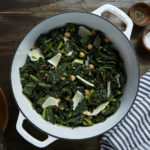 Those non-stick pans also stop working after a few uses, while cast iron will work flawlessly for your great-grandchildren. 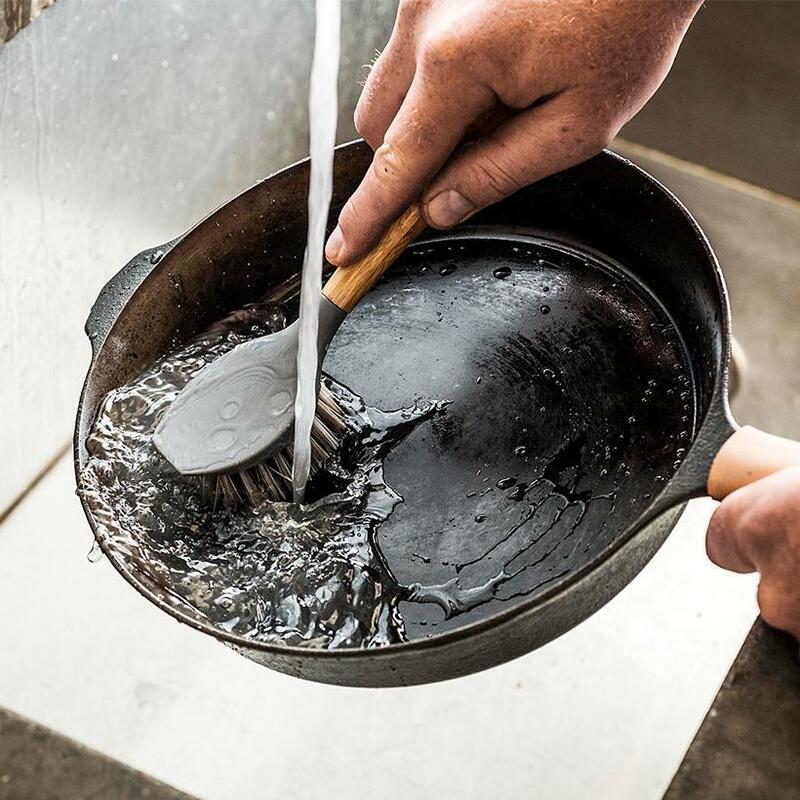 This Field Skillet is meant to be passed down for generations. It’s a treasure. 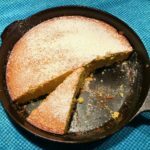 What Can you Make in a Cast Iron Skillet? I have never had so much success with cookware in my life. It’s like a magic skillet. Everything I make comes out tasting amazing. 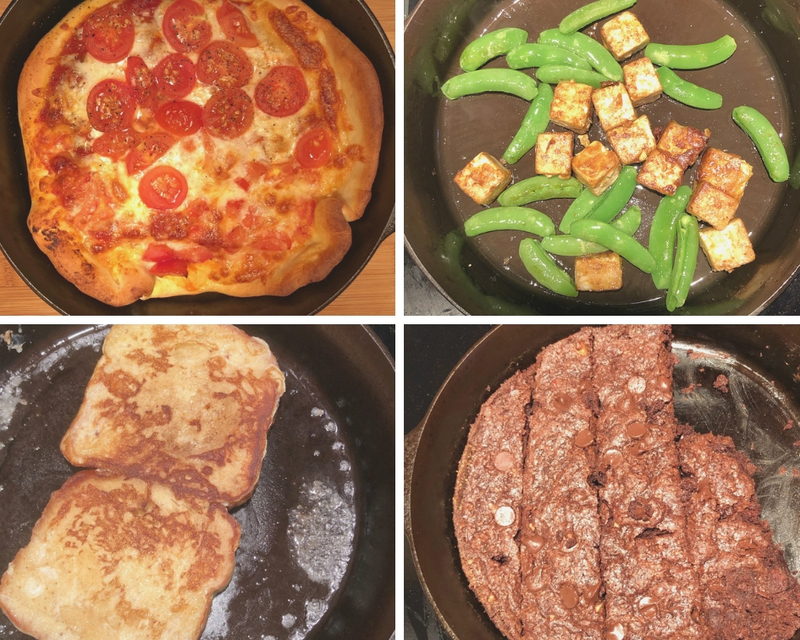 Skillet Pizza is awesome (entire post with recipe coming soon), French Toast never tasted better, Skillet Brownies are crunchy on the outside and melty and fudgey on the inside, and Crispy Tofu & Snow Peas are yummy. 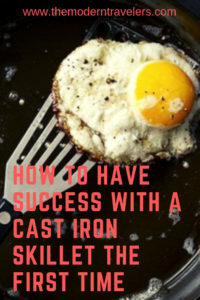 Since the cast iron heats evenly, your food does too, and it makes a huge difference on how it turns out. 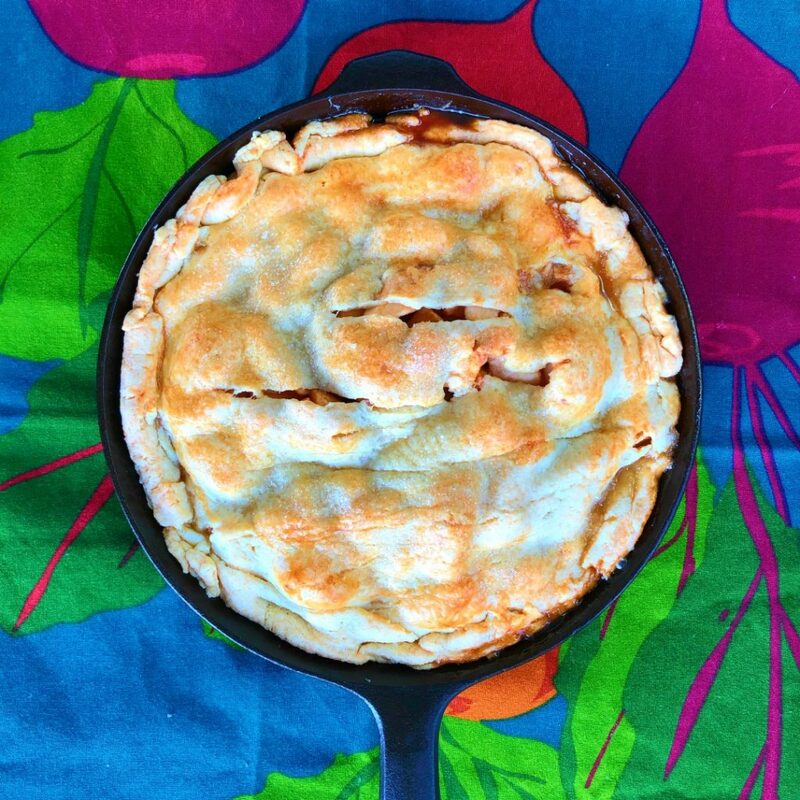 Did you know you can Make Skillet Apple Pie?! This is the first apple pie I’ve ever made. My mom’s apple pies are so amazing I never really thought I could pull it off, but guess what? It was easy! And delicious. I didn’t realize you could make apple pie in a cast iron skillet, but the crust in a skillet has the most perfect crispiness it makes me never want to make pie in a regular pie pan again. 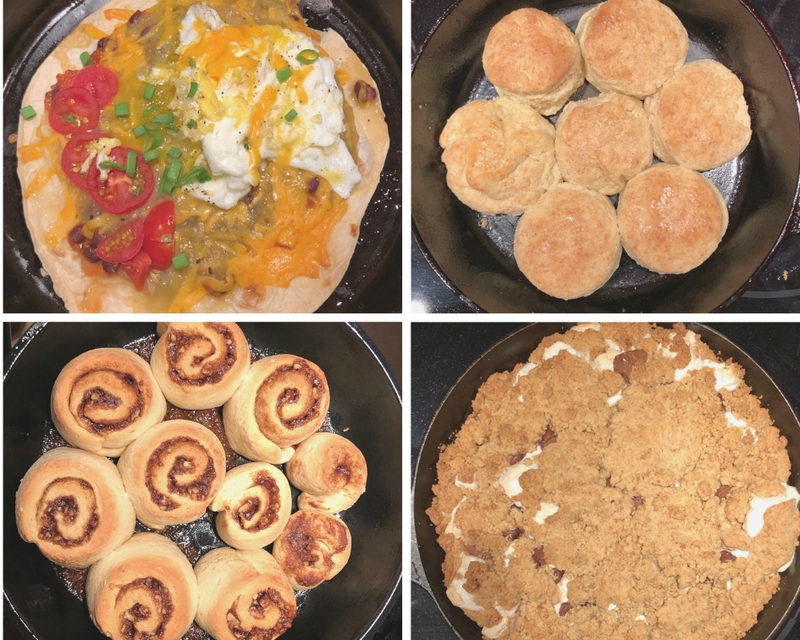 Huevos Rancheros come out delicious, Cinnamon Rolls are doughy on the inside and Carmely Crunchy on the bottom, Buttermilk Biscuits come out fluffy inside and crisp on the bottom and Skillet S’mores are better than traditional s’mores. All the images you see above are my very first tries. They just get better from there. My son is thrilled to find homemade treats all the time and the satisfaction I get from baking and cooking with this skillet is tremendous. Cast iron is completely Safe to cook with. Machined, smooth-as-silk cooking surface is more Non-Stick than my ceramic non-stick pan. It’s a Comfortable Weight at 4.5 lb. Beautiful, minimalist design with no pour spouts. Comfortable Handle that fits my small hands. Food Tastes Better in cast iron. It’s an Indestructible heirloom item that my son will one day have. Can be used for Outdoor Cooking over an open fire (though this baby is not leaving my kitchen). Compatible with glass top electric stoves, as well as gas. 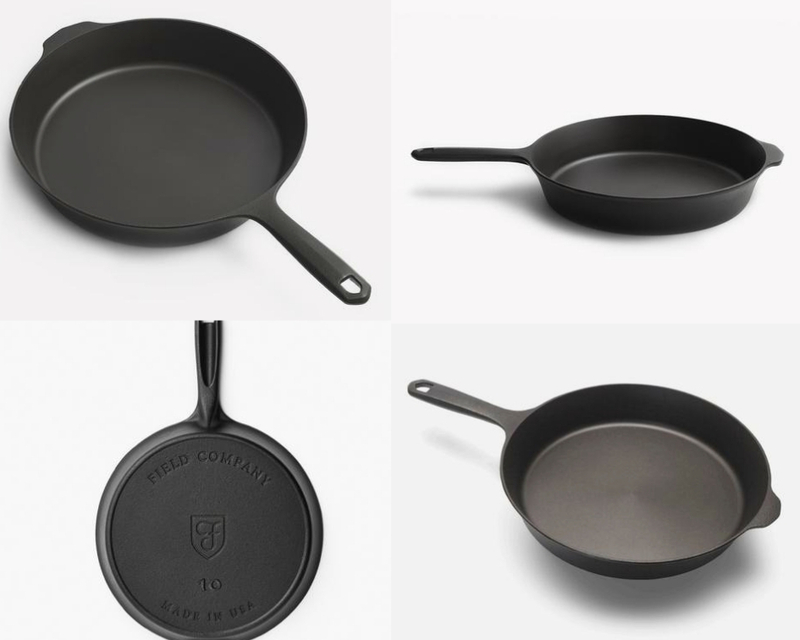 Made in the US from 100% cast iron. Pre-seasoned and Easy to Use, right out of the box. Every kitchen needs a cast iron skillet. 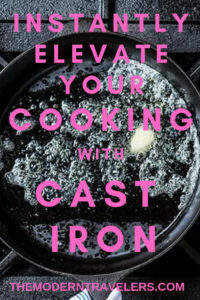 Don’t drive yourself crazy with a cheap one and end up thinking you don’t like cooking with cast iron. Go straight to the best and have success right out of the box. Order directly from Field HERE. 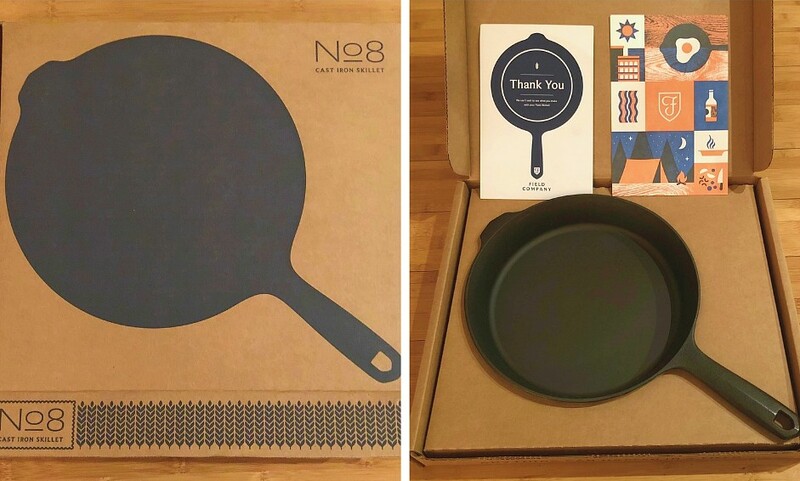 Your skillet will come packaged beautifully with a lovely presentation (it would make a killer gift), in a box made so that your skillet is protected and won’t move around in shipment. Mine is the number 8 which is the perfect size for one or two people, though I think it would accommodate a family of four nicely too. We almost always have leftovers. If you follow Field’s directions, your skillet will perform like a dream. Stay tuned for recipes!